My Bloody Valentine’s comeback album was a pure delight, and fellow trademarks of the alternative/shoegaze scene Slowdive find similar success with this self-titled album, their first since 1995’s Pygmalion. 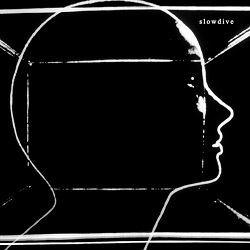 Slowdive is a culmination of various sounds pursued by each member’s forays outside of Slowdive, from Neil Halstead’s folk-laden interweaving to Rachel Goswell’s powerful vocals. In all, it’s a pleasant and mostly faultless re-emergence, with tones ranging from the shoegaze-y “Don’t Know Why” to perky dream-pop in the vein of “Everyone Knows” — all with a commendable degree of energy, showing a band getting back together for the passion of the music, rather than something ulterior. Eight years after the project’s striking, self-titled debut, The Knife’s Karin Dreijer is back at it with her idiosyncratic approach — her one-of-a-kind vocal presence and knack for icy atmospheric construction again succeeding. Plunge recalls early The Knife material in its ability to channel melodies that are both effervescent yet cast under a frozen pond, her vocals bubbling between levels of intensity as topics swap from horror film imagery (“An Itch”) to the more romantic, and both — like the tale of a vampire lovers on “Red Trails”. Also touching on the politics with “This Cuntry”, Dreijer again shows her talent in eclectic lyrical approaches and successfully alternating between bubbly electro-pop playfulness (“IDK About You”, “Wanna Sip”) and moonlit ballads of darkness (“Red Trails”). The project of Mike Hadreas has always featured ample emotion, his vocals often sounding on the verge of tears or unbridled excitement. His new album No Shape is a brighter, perkier affair than the preceding Too Bright (2014: #26), with new producer Blake Mills aiding with a more diverse sound — starting with the opener “Otherside”, featuring a delicate piano ballad that expands into a beautifully, effervescent chorus. With songwriting that places more emphasis on build-up and transitioning than its predecessor, No Shape also seizes some great ’80s synth-pop and funk influences, on “Wreath”, “Just Like Love”, and “Go Ahead” specifically — as well as heart-tugging romantic ballad “Alan”. It’s another emotionally sincere and heart-touching release from Hadreas. 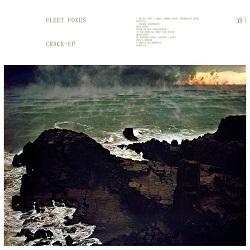 Six years after the release of Helplessness Blues (2011: #28), Crack-Up finds fit-for-the-forest folk outfit Fleet Foxes distancing a bit from their tired and true folk formula. Easily their most dense release to date, Crack-Up navigates through a variety of styles, a far cry from their very cohesive releases of the past. Orchestral elements and experimental song structures are fully embraced, as shown in the decision to make the nine-minute “Third of May/Odaigahara” as the lead single. Robin Pecknold’s soaring, captivating vocals remain – and most tracks have glimpses of the hazy acoustics that marked their earlier sound – but certainly, the group is confident in stretching their legs out creatively, which works for the most part throughout Crack-Up. Another solid addition to Kieran Hebden’s prolific discography, New Energy finds his Four Tet project pursuing some styles in the past, pushing aside a recent club-laden phase for a more lush, downtempo sound inherent in his earlier works, like 2003’s breakthrough Rounds. The release also deftly incorporates Indian musical influences, as explored more fully on his 2015 EP Morning/Evening. “Two Thousand and Seventeen” showcases a full-bodied, intoxicating melodic presence from the get-go — with additional highlights in “Scientists” and “Planet” exploring Four Tet’s knack for brilliant vocal manipulations, present on 2010’s There Is Love in You. 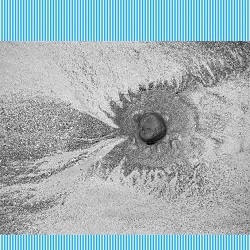 There’s a bit of everything here for Four Tet fans, stylistically, while retaining Hebden’s knack for releases that gradually grow into very addictive, atmospheric listens. 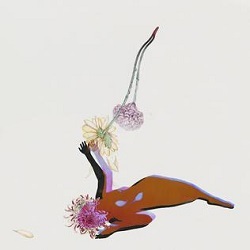 Future Islands’ breakthrough album Singles (2014: #15) introduced many to frontman Samuel Herring’s powerful voice, commonly alternating between powerful operatic awe and cartoon-ish interludes that range from screamo-esque contortions to a hushed lullaby. Combined with some extremely hook-y songwriting, Singles was a winner. Although follow-up The Far Field doesn’t wow as much in terms of hooks, it’s still a very solid release despite its lack of immediacy, with producer John Congleton helping contribute toward a denser, more involved sound. Herring’s vocals tend to not take as many risks as the previous album, though he remains a powerful presence, especially on highlights “Time on Her Side”, “Through the Roses”, and the superb “Day Glow Fire”. 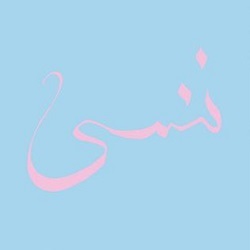 While not quite Dear God, I Hate Myself in terms of accessibility – by Xiu Xiu standards – Forget is nonetheless an accessible listen — again, by Xiu Xiu standards. Early on, Jamie Stewart unveils one of the most pop-forward tracks of his career in “Wondering”, almost channeling Arcade Fire and their guitar/synth interplay. There remains plenty of dark oddities, though, particularly on the superb “Jenny GoGo” — which takes some of the vibes from Xiu Xiu Plays the Music of Twin Peaks to ascend into nocturnal bliss. Combine with a closer that reads a poem about young girls sold into prostitution, and it’s clear this isn’t an entirely accessible listen, though certainly one that straddles brilliantly between brighter pop and darker crevices that still shine nonetheless, with the unique ingenuity we expect from Xiu Xiu. Shifting from the dense, 24-track showing on 2014’s …And Star Power, Foxygen’s fourth full-length Hang does its talking with a mere eight tracks. There’s not a dud to be found though, with the duo of Sam France and Jonathan Rado operating at their most directly effective. “On Lankershim” shows the album’s rich mode of production, with flourishes of brass and strings complementing suavely effective vocal melodies and an Elton John-like piano-led presence. Opening track “Follow the Leader” kick-starts it immediately with glee, channeling these suave vocals and soulful backing bits with an intro that’s parts ELO and parts Rolling Stones. Another highlight, “America”, shifts from showtunes-like exuberance to creeping cinematic anxiety. 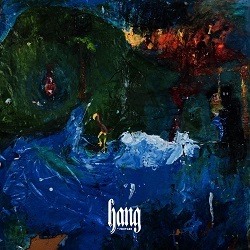 More than simply serve as a nostalgic stylistic piece, Hang showcases some purely exhilarating, hook-y songwriting, every moment of the 32 minutes presenting something interesting. 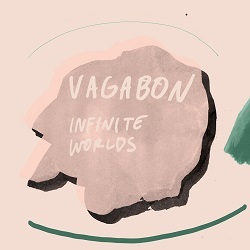 Infinite Worlds is a very convincing debut from Vagabon, the project of Cameroon-born multi-instrumentalist, singer/songwriter, and producer Laetitia Tamko. Whereas a variety of debuts see an artist struggle to find footing in one style in particular, Tamko shows adeptness across a variety of approaches. Starting with indie-rock pulsation “The Embers” and finishing with a haunting folk song in “Alive and Well”, there’s no telling what Tamko’s future stylistic direction is — hopefully more of this same, diverse charm. Also touching on hypnotic post-punk in “100 Years”, punk-laden hookiness on “Minneapolis”, and atmospheric electronica within “Mal á L’aise”, the album maintains a sense of consistency despite the eclectic touching stones — propelled by consistent, hypnotic vocals that value strong melodies. 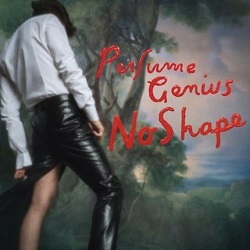 This is a great album for getting lost in, ideal as a background soundtrack or attentive listening experience. 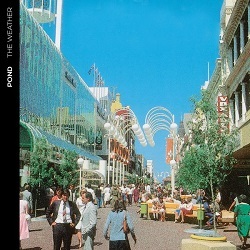 Australian psych act Pond already have seven studio LPs to their name, their latest being The Weather, another success produced by Tame Impala frontman and occasional Pond bandmate Kevin Parker. The release is consuming throughout, starting with a rumination on nuclear bomb threats on the buzzing “30000 Megatons”, where synths and anxious guitar tones combine with soaring vocals for a thrilling first listen. I doubt it was a coincide the single’s release coincided with a certain day of inauguration. On the more effervescent side, “Paint Me Silver” is a shimmering slice of psych-pop that utilizes a fun sample from Todd Rundgren’s Utopia project (“Cosmic Convoy”). The album presents a mixture of these brighter efforts, including “All I Want for Xmas (Is a Tascam 388)”, with more complex rock-laden sections that alternate between piano-based retrospection and slabs of heavy guitar (“A/B”). Trippy and engaging, The Weather finds Pond continuing to serve as one of the best in the modern psychedelia scene.